According to The Sun, Manchester United boss Jose Mourinho is eyeing a transfer swoop for Xherdan Shaqiri following Stoke City’s relegation to the Championship, which has subsequently made him available this summer for the bargain price of just £12million. The Switzerland international enjoyed his most potent Premier League campaign to date last term, with eight goals and seven assists, but it wasn’t enough to stop the Potters avoiding the drop and there are certainly question marks over whether Shaqiri’s workshy attitude negatively outweighed the significance of his impressive output. With that in mind, we take a look at the potential consequences – some good, some bad – of Mourinho bringing the 26-year-old to Old Trafford this summer. 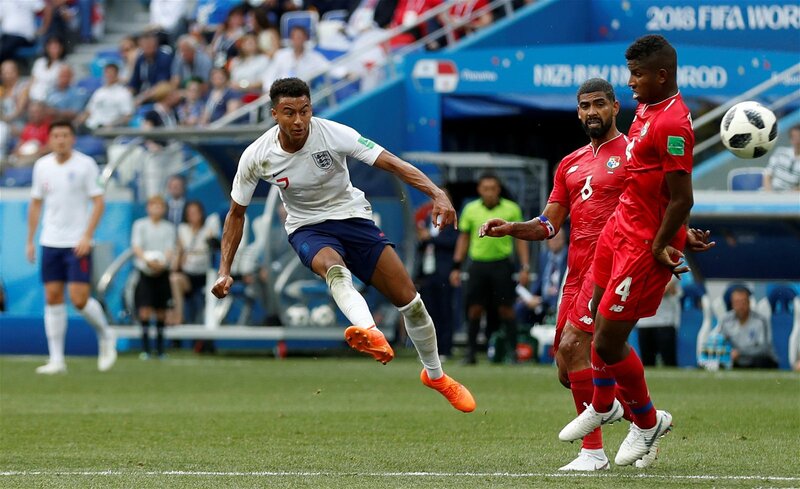 Jesse Lingard’s been one of England’s standout performers at the World Cup, a gorgeous goal against Panama emphasising his importance to Gareth Southgate’s side. At club level though, it’s not wholly obvious where he fits into United’s starting XI – and the arrival of Shaqiri, even if the Stoke City talisman is going to be a squad player at best – would only seem to further muddy the situation. Lingard’s best performances last season came at No.10, but that was mostly during Paul Pogba’s absence and Mourinho is yet to find a way of effectively fitting his club-record signing in the same side as a central attacking midfielder. That saw Lingard end the season on the right wing, which is where he started the FA Cup final, but that will likely be Shaqiri’s predominant role at Old Trafford. The only alternative is to push him deeper into midfield, replicating the role he’s thrived in for England. But the arrival of Fred suggests that option hasn’t entered Mourinho’s thinking, so Lingard looks set to fall down the pecking order once he returns from international duty. Perhaps the best he can hope for is being a second-choice on the right and in midfield. Juan Mata has been only a peripheral figure in Mourinho’s plans since the former Chelsea pair were reunited at Old Trafford but Shaqiri’s arrival would pretty much force him out the exit door. The Spaniard and the Swiss are essentially like-for-like players – No.10s who look to peel in from the right wing, albeit the latter being considerably more direct than the former. Younger and signed on longer terms than Mata’s contract, which expires next summer, it’s pretty obvious which mercurial attacking midfielder Mourinho will prioritise if both are at his disposal. Rated at £27million by Transfermarkt, Shaqiri’s arrival will render Mata more valuable to United in the transfer market than on the pitch – if that’s not the case already. No Premier League side scored more goals from outside the box than United last season, level with Manchester City on a whopping 13, and Shaqiri would only add to that impressive fire power. He topped the player charts for goals from that distance, bagging five in 2017/18 despite Stoke’s relegation plight. And it shouldn’t be underestimated how significant that could prove to be for United. Mourinho’s game-plan, especially for the heavyweight encounters, essentially boils down to protecting his own goal and hoping one of his four main offensive talents provides a moment of individual ingeniousness at the other end. Shaqiri, while inconsistent at times, is certainly capable of doing that. He only needs a few yards outside the box to score, and that’s exactly the kind of match-winning quality Mourinho wants from his attacking options.